Transparent bottle with needle. 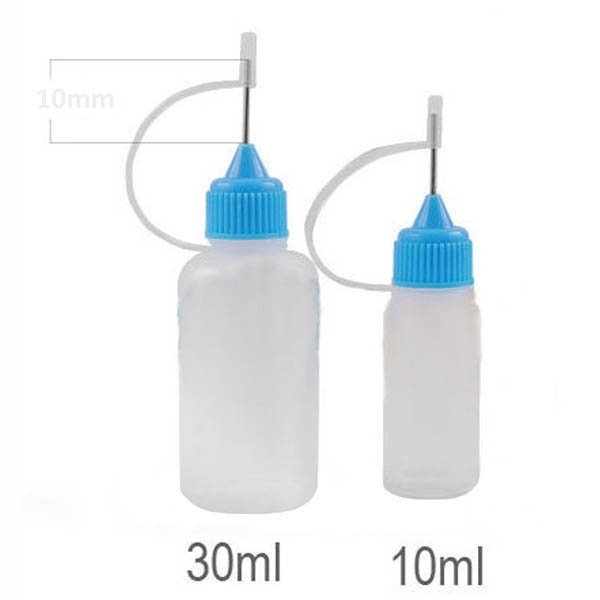 It is a very useful product which can help you with pouring liquid. 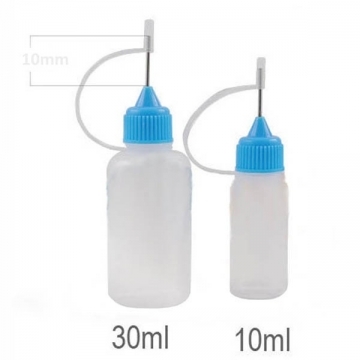 You can choose one from two sizes: 10ml and 30ml.